Antennas can be as simple or as complicated as you like. There are an infinite number of possibilities. The common thread tying everything together is wavelength and antenna size. 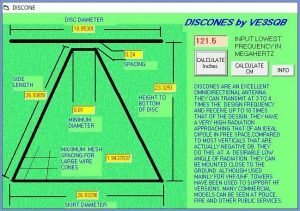 All Hazards Communications Preparedness show host David A. Vine will discuss antennas and the many variables that maximize your transmitter output and reception quality. 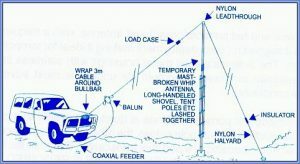 Some of the many factors that you must consider are radio wave propagation fundamentals, polarization requirements for various frequencies, antenna types and orientation, resonance, ground effects, transmission lines, signal attenuation, stealth and/or field expedient lashups versus large scale construction involving antennas on towers, etc. Your host will touch on many of these critical communication success factors and tell you about his personal experiences setting up and using different antennas. Next: Next post: Tactical Dog Training!